Just a few weeks away and then we have the first BPSFW. So excited, it's hard to get some proper sleep. If you're wondering why I'm suffering from sleep deprivation, I suggest you look at the post title (sooo obvious no??). 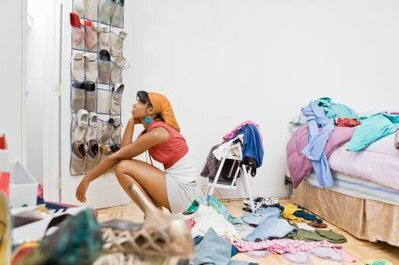 I've talked about staring at your closet, not knowing what to wear. I proposed to get inspiration from the London Men's Collection, if you're staring at your closet not knowing what to wear. But I admit just looking at collections will not get you in to that fantabulous outfit, right? And even though I'm not against fast fashion (great lover of H&M myself), you don't want to get caught in tout Primark either. Or worse, the same dress, shoe, coat, trousers , O-M-G, sweating bullets on my forehead, gasping for air .... Identify with me? Then this post is for you. If you're not sure what items classify as staple pieces, I suggest you apply the rule of 3 on the item. Does it combine with other pieces? Meaning can you remix it? Does it stand the test of time? Will you be able to wear it all season? Does it flatter your body and makes you want to wear it forever and ever? If all of the above are answered with a convincing yes, then my dear Emotionista friend I think you just might have found some key pieces. To avoid looking like an ASOS Curve advertisement or -fill in any plus size brand of your liking- one must learn the art of customization. 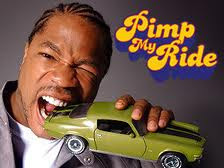 Do you remember Xzibit pimping everybody's ride back in the day? Well, you try the same method, but on your wardrobe. Take your plain coat, top, shoes etc.. and go all out in repainting, reblinging so the end result is one-of-a-kind. 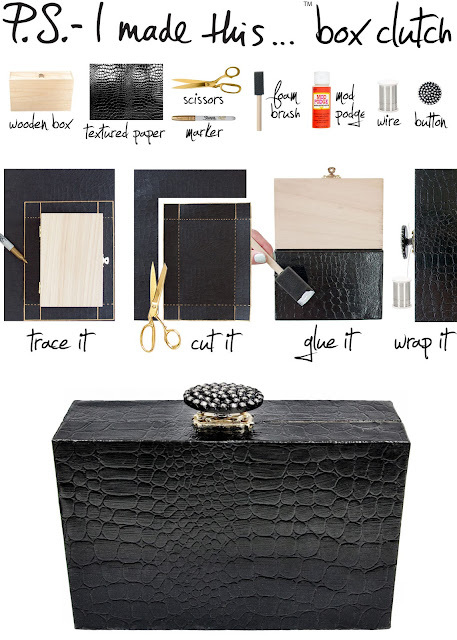 Erica Domesek blog has great DIY ideas. This box clutch idea is my next DIY project. Throw all fashion rules out of the window and start experimenting with color, patterns, structure, material, brands. Probably when you feel the most out of place, that's the mix you'll have to stick to. Adding vintage pieces to your outfit makes it also instantly unique. For we all know vintage pieces are an unicum. And also don't be afraid to try out your local thrift stores. Last but not least, the bling, the cherry on top, yes your accessories. For me that implies jewelry, shoes and make-up. Use them to add pazazz to your basic wardrobe. 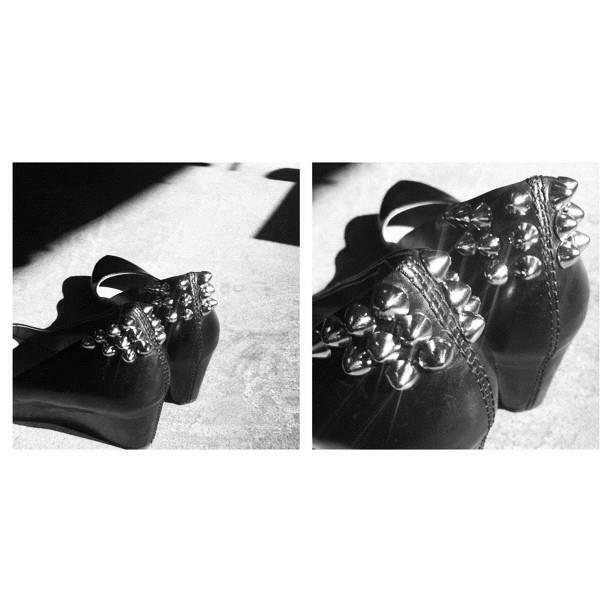 What are you wearing for the upcoming fashion weeks? THnx love! I wish you could too. Maybe we can visit IFB Con one day together. My favorite is to learn the art of customization. I just purchased a 2 size large skirt at a thrift store and this weekend I'm bringing it to my friend that is a tailor to get it just right. I agree Ofelia. 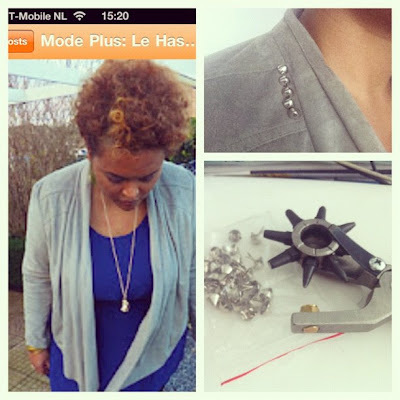 It is so much fun too, to remake your own clothes, giving it that special touch fitting for your personality. 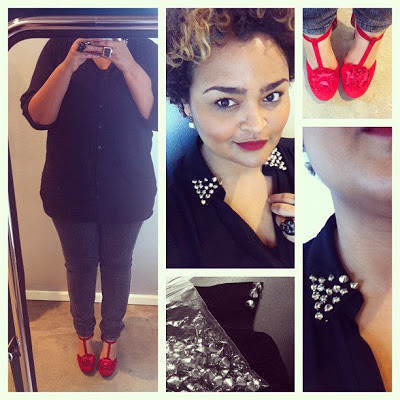 cool post, great advive on how to pick out things to wear for an imortant event! i wish i could go!